The creator of these effects, Jozsef Kovacs, is a Hungarian magician who became interested in magic at the age of four. 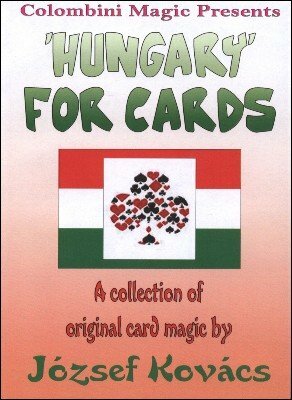 He was living in a small village but only when he moved to Budapest he was able to find a magic store and the possibility to find books and videos. He published a series of booklets and lecture notes and you can find most of his work here on Lybrary.com. He likes close-up magic but card magic is his real love. Jozsef is a very talented magician with an extremely creative mind! His card magic is exemplary and if you want a beautiful variety of effects with clever presentations - then definitely buy this download DVD! I'm very "picky and critical" about much of the card magic out there...but Jozsef Kovács is the real deal!